She's one of the boldest and brightest heroes in the Marvel Universe - and now you can bring her to luminescent life in all her red-blue-and-gold glory! Follow Carol Danvers' colorful career, from her uniform days in the Air Force to taking flight in the very different costume of Ms. Marvel - through to her ultimate ascension to the rank of Captain Marvel! 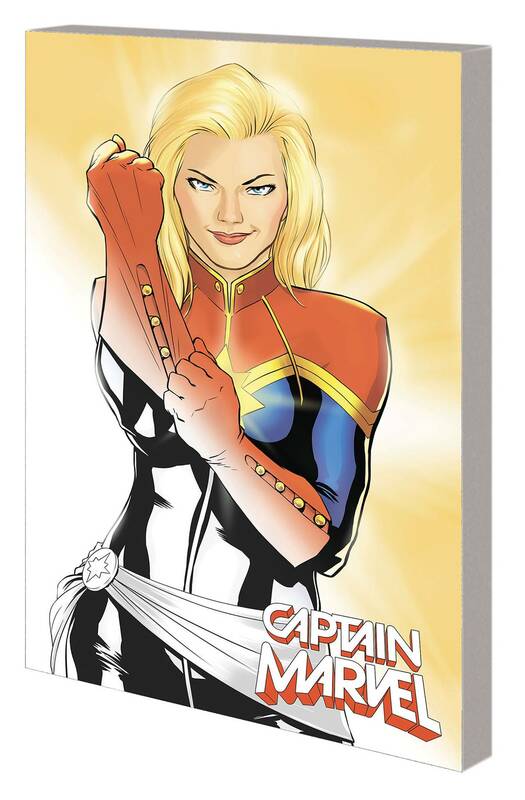 Use your full range of pens, pencils and crayons on Carol and her friends - from her Avengers allies to her Alpha Flight crew; from Mar-Vell, the Kree legend who inspired her, to Kamala Khan, who took up the mantle of her idol to become the new Ms. Marvel! Then there are intergalactic enemies like the green-skinned Skrulls, and blue-hued Kree menaces Ronan the Accuser and Doctor Minerva! Join the Carol Coloring Corps today - and Make Yours Captain Marvel! All Ages.